This side dish screams summertime. In fact I have had these pictures saved for months and months just so I could write this post and publish it at just the right time. This is not a recipe that should be put aside and forgotten. 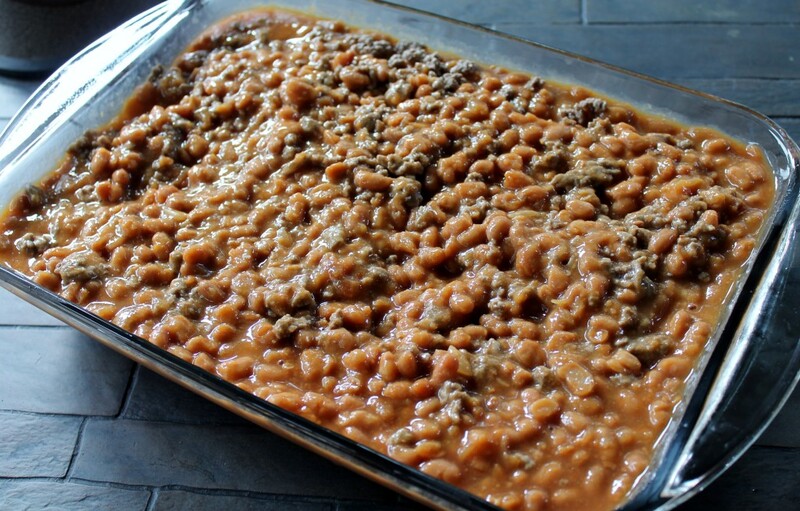 Now that memorial day has come and gone in my book that means summertime is here and these baked beans need to be as well. This is my moms recipe and definitely one of the most requested dishes at cookouts and pool parties. 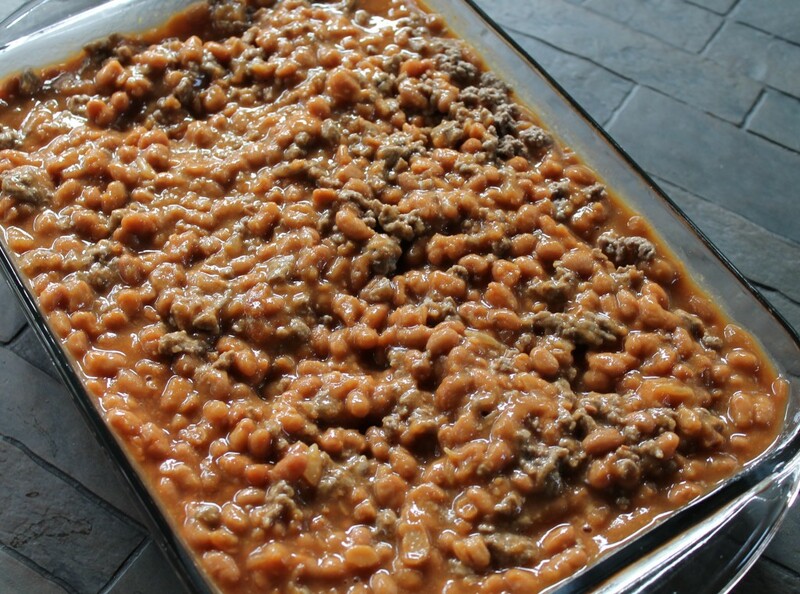 What makes these beans truly southern is adding the bacon on top to allow the fat to drip down while cooking. If that isn’t your thing then by all means leave the bacon off as the ground beef still adds in some additional fat and texture. If you do add in the bacon and are like me and prefer it extra crispy you may choose to remove the bacon before serving as it tends to be more fatty. These beans have a smoky sweetness to them and perfect served alongside grilled chicken, hamburgers or hotdogs. 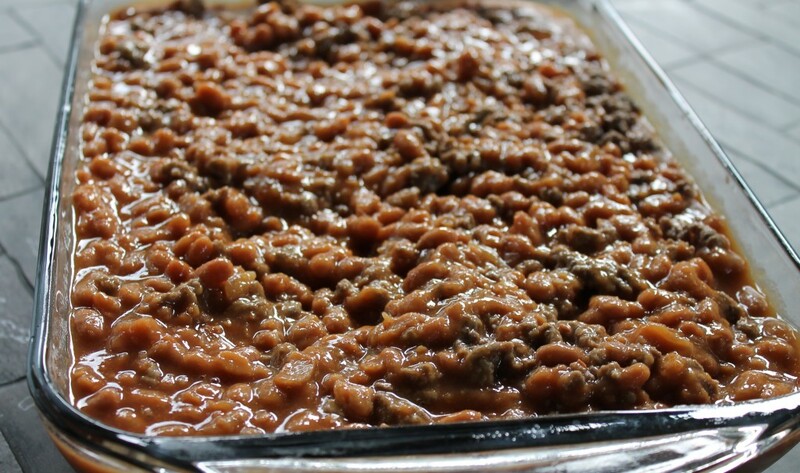 These baked beans are best enjoyed in the backyard while sitting on a patio or at a picnic table served on paper plates and scooped up with plastic utensils. There is nothing fussy or fancy about these beans which is just another reason why they’re perfect for summer and the casualness that the season brings. However once this season has come and gone this dish can and should be enjoyed all year long. Add beef to a large bowl then add in all ingredients EXCEPT FOR THE BACON. Mix well.